As every toner cartridge will have its own unique yield (pages printed per toner cartridge) for a specific price, the only accurate way to compare the real cost of the CC364XD toner is by CPT. CPT is very easy to calculate. 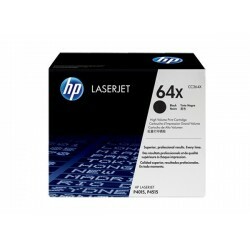 - Original HP printing supplies are easy to buy, easy to manage and easy to use. 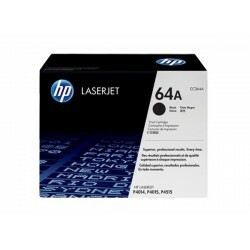 And with the added convenience of HP Dual Packs – two Original HP 64X Black LaserJet Toner Cartridges, you can keep interruptions to a minimum.